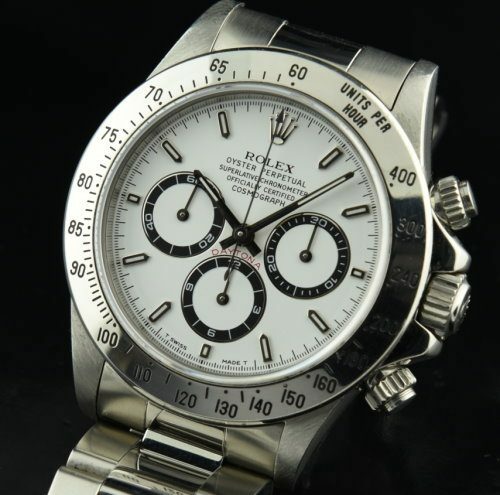 This W serial (1995) Rolex Daytona ref. 16520 with the famed and highly desired ZENITH movement is a future collectible ROLEX. Many Rolex collectors prefer the fine caliber 4030 movement by ZENITH which was based on the ZENITH class 400 EL Primero automatic winding movement. This one was cleaned and accurate with all functions operating smoothly. The dial is pristine. The case and bracelet look extremely fine. The sapphire crystal is without a scratch. The polished bezel also looks excellent.